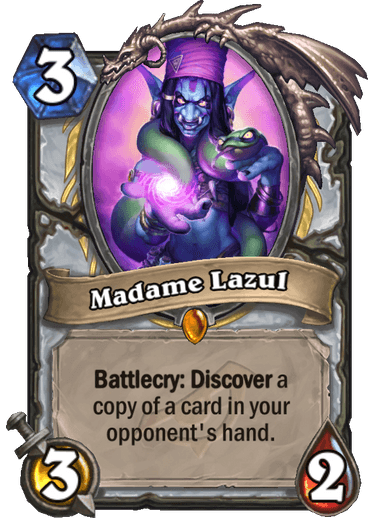 Madame Lazul is a 0 Mana Cost Legendary Priest Minion card from the Rise of Shadows set! Of course she knows the future, she’s been looking at your cards the WHOLE TIME! Now that i think more about it this card with azalina and chameleos and archbishop make for a great priest thoughtsteal deck, with some mind visions, shadow visions, thoughtsteals and devour minds It can actually be FUN. Not shure about competitive but FUN :D.
So basicly this is the priest version of tess. 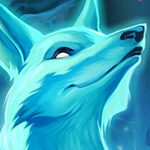 hi stonekeep are you adding your ratings for the cards this expansion? Glimmer root was run heavily in value based meta’s (which is probably the meta we will be in soon) and this card’s effect is stronger than glimmer root because: 1) You have a choice of 3 cards, so you don’t have to pick the bad card glimmer root often gives you. 2) Information on what is in your opponents hand (while a lesser effect than the others is a nice attachment). 3) The effect will always trigger, unlike glimmer root where you sometimes guessed wrong. (Obviously its bad when your opponent has an empty hand). 4 Stars as a very strong card in a value meta, but probably only in a tier 2 (at most) deck. Will become 5 stars when priest gets better removal. You know an interesting card would be if discover card in opponents hand and swap it with one from your hand. Would have to be at random and only playable if had another card in hand but it would be an interesting card for cancelling combos or win conditions. Basically like dirty rat and demonic project did. Card like that would have to be a legendary doesn’t matter if class or neutral. 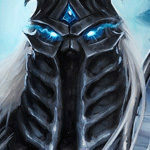 Like when play lich King in ice crown challenges those were amusing lines. Of course we do have minions of some heroes already. wat? how is the new hagatha not a minion card or OG rafaam? 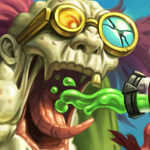 propably all evils will have a minion card. 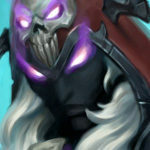 Medivh, Prince Arthas (=The Lich King, but those two are not EXACTLY the same). I bet we will have more of them too. 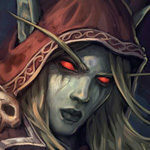 Characters like Maiev, Tyrande or Khadgar will probably come out sooner or later as the cards. 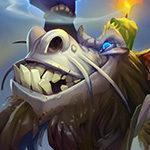 the medivh skin we have is of medivh the corrupted. 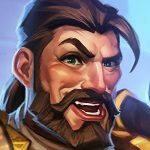 So “medivh”, and “medivh, the gaurdian” are two different characters in my opinion. 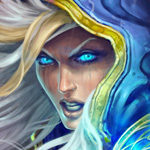 in the same way that i wouldn’t say lich king and arthus are the same characters (but to be honest i completely forgot about medivh) what i was talking about was flat out exact same name. 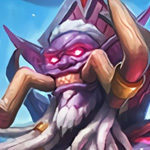 Also forgetting about the annoy o Tron partially and the mechanized version of jaraxxus yes he’s a hero card as well but as a demon he could be summoned by recruit or skull. medivh become corrupted before he became the guardian. Kind of he was corrupted from child birth by what i can recall from the novel. And medivh was the first one ever so you can downgrade this again. Drawing a line between a good design, and overpowered. Aren’t we? well its a nice idea but it would have been more balanced if she would just burn the card. Its like an epic demonic project. One of your cards is a crappy 3/2 for 3 mana and your oponent loses one from his hand. That is what i call evil. ah yes the classic 3 mana automatic win against combo. what a well thought out and original idea. 3 mana 3/2 see what deck your opponent is playing? In the new meta where who knows what will be possible? Yes please! 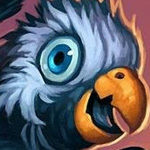 Some people may compare this the glimmeroot and say it’s worse, but It’s better for 2 reasons. 1: You are guarenteed a card from this unlike glimmeroot and 2: It’s (probably) less buggy than glimmeroot. So cool card idea for a legendary getting to discover from hand, and sorta fits the idea priest has now. The correct answer was dead ringer by the way, even though he very cleary has awaken the makers in play. Bug, glitch, or intended I’ll probably never find out on my own. I’m wondering if anyone has an explanation for this? The card says “a card that started in your opponents deck”. Since the quest always starts in hand it could not be the quest. that’s not the way the deck works, if it was, then people would be able to play a quest in a genn greymane deck and still have genn work. even if all other cards in your deck are even and you draw the quest in your opening hand, genn will not proc. 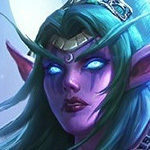 perhaps a better example would be Princess talanji. princess talanji does not affect minions you draft in your opening hand. cards that have “start in your deck” takes all 30 cards into account. Well we saw how usefull chameleos was. Not usefull enough for his dust cost. But it was usefull. The only good things this card does is it shows you 3 of the cards your oponents holds. 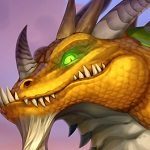 Chameleos could have shown you more. Its stats are very bad for priest. You would never run the 3/2 version of a card in priest you preffer to have the 2/3 because you could heal it and make it deal more dmg. And you are also overpaying for a discover card. Knowing what your oponent has in hand is mor eusefull if you are trying to aggro your oponent whitch is something proests don’t do. And this card is so powerfull i think thoughtsteal is its competition :D. You can instantly replace it with thoughtsteal. After all everyone is playing netdecks exept very few people and you know whats in their deck anyway. Too much dust cost for too little value even for telanji shenanigans this thing gives you poor value. And as taznak pointed out its a very poor valu eagaints aggro. especially if they ditch their hand o nyou or if they got tons of value in their hand. Azalina has similar effect to this card and azalina can win you games. And is not rotating out. Chamilios is more usefull than this and chamellios was not crafted that much. The game was supposed to get better so devs should have learned and make the peeking at your oponents hand somehow usefull and i don;t know maybe get a way to explot the value a bit. All in all this is like 3x mind visions into one card that let you draw just one of them. And getting one of your oponents card is not great since its not that likely for you to get descent value for it. You can get lucky but its a vely low chance. Another dust donor for priest, the card is neither deck defining nor you can build around it. If you are unlucky to get this you will have no deck to build around. i mean imagine that you are a player that just started playing heartsone and got this as your free legendary. The only thing you can do with it is to get 3 more legendary card and instead of having a full built deck you are much better with craftign a whizbang. 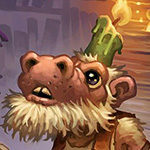 In the new expansion of you happen to have zerek and zerek’s cloning gallery and lady in white and chameleos. cloning galery retires and it requires you to have all the old legendary cards so you have 0 ways to play priest. Oh chameleos is not rotating so its just a better card than this so anyways don’t feel bad for dusting it. Although bad i like the fact that casino priest got some legendary cards. Well casino priest didn;t get anything as good as what the burglar rogue got lately with cards like tess and espionage, it is getting toglaggle scheme too. Whitch is something casino priest could want but anyways priest is just the dumpster of cards. Cost wise your forgetting about cloning device 2 cost discover a minion in your opponents deck this is 1 Mana more with a 3/2 body and can get copy of either minion or spell from your opponents hand. I’d say that it’s rather fine cost for it instead of a 2 Mana do nothing you have 3 Mana 3/2 body and discover card from the hand which could be more valuable to know then what they MIGHT draw before the fight finishes. Granted it’s probably not a card you’d craft but like chameleos if you pull it from pack you shouldn’t dust it because it is playable. Being able to pull a board clear or a removal spell is a nice pull from this walk the plank from rogue could give a removal playable on a curve if was needed. i don’t think the RNG is in favour of this card. Even if you know what your oponent has priest has no good answers to the combo decks. If you are priest and you go againts a combo deck you insta lose. 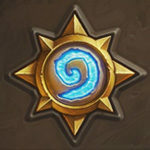 Even if you are priest and you are in fact playing combo you are still more likely to lose to the other combo decks because your card draw is very limited and you are forced for the past years since heartstone firs launched to plat the same card draw scheme northshire circle acolyte and wild piro. whitch is a total of 8 cards + your combo and all the other board clears you can find. And that is not fun anymore. I am not saying its not powerfull. but its boring. As for the effect. Knowledge is powerfull. But its not worth if you can’t utilize it. 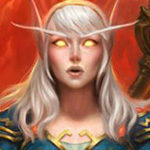 Priest decks are very stale and people usually kno whow to play around them anyway. Even if you snipe your oponents shudderlock. It is basicly useless for you. This card is weaker than it may seem. The effect is cool but other classes could benefit more from it. For those thinking about cost this is basically bloodfen raptor with a 1 cost cloning device targeting any cards in your opponents hand. The times it shines depend on the opponent and can have interesting results would be interesting get copy of a hunters zuljin depending on what spells you run a replay of mass hysteria could save you. This card is insanely good on its own for obvious reasons even if you only play it once in a game. When you start combining this with things like Seance, bounce effects, Talanji, Spirit of the Dead and Bwonsamdi, you could realistically be playing 3-4 of these in a single game. That sounds pretty broken if we end up with a control/value meta. Vs. Aggro: Poor. 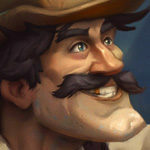 You want to find your taunts, heals and AoE, not a copy of your opponent’s Leeroy. Vs. Combo: Poor. Getting a copy of a combo piece or a removal spell won’t help you rush them down. Vs. Midrange: Alright. You’re mostly hoping to steal a copy of a defensive card, like an AoE spell. Getting a mid-sized minion won’t help. Vs. Control: Great. The kind of cards you’re likely to be offered are exactly the kinds of cards you want in this matchup. Good card let’s you see portion of opponents hand allowing you to have a heads up for otk or combo progress as well as possible removables also since it says discover a copy if your opponent had a buffed up minion you could get your own copy of it as well. There’s also another interesting possibility if your getting a copy it may be possible to get a scheme from your opponents hand that’s already buffed up some which would have some rather good value getting the card at good power without having to wait. Since most likely people will want at least 1 scheme in their Mulligan. This card is so far the best RoS card revealed to date. It gives you acess to the other players hand – info – and will let you get the card that better fits your needs – draw. The 3/2 body isnt what really matters but it’s ok for a 3 mana card. I think this card will see play a lot for the next two years! Good card, in my opinion I would liked it to be 2/3 so it can be healed with hero power. But still good. Hs bingo has 3 in a row now, with the thief preist tile filled. 5/5… no OP but very good and interesting/interactive. It may not be quite imaginative, but there isn’t any card better at handing you information on what’s in the opponent’s hand. Yeah I’m not saying it’s a 100% recycled concept, also fits the character. I’m just hoping to get a few more creative cards. Hagatha was a nice one for an example, even if it isn’t OP it’s a very neat idea. 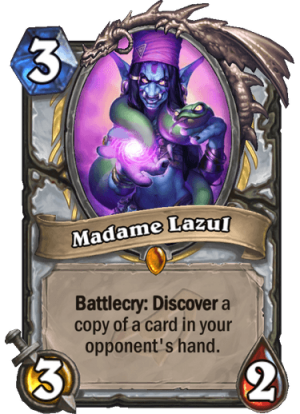 The information gathering aspect of Madame Lazul is definitely impressive compared to previous offerings. However, it really could have read “Battlecry: Draw a card,” and it would still have been really rather good. Granted, any and all Priest decks could very easily drop this from lists in favor of another method of card generation, and I personally feel the extra health stat on Curious Glimmerroot will usually make it the better card in most cases. Has there been a neutral 3 mana minion with battlecry draw a card, for comparison’s sake? I can’t think of one. There’s been Curious Glimmerroot, and if Gnomish Inventor would see play in literally every deck if it were three mana instead of four. There have been a variety of two drop minions missing only one stat that replace themselves in the hand, and most of those have seen play. Kabal Lackey, Stitched Tracker, Black Cat and Stonehill Defender are also comparable, but there has not been a neutral three drop that draws a card yet. – You can see 3 cards of your opponent, Determine if he has a big removal for example. A cross between Curious Glimmerroot and Chameleos. But- and I think this is key- you can more selectively choose which card you get compared to either of those, so you don’t have to be a tempo deck stuck with a big removal spell or a control deck stuck with a cheap aggro card. Also less likely to wind up with one of your opponent’s psynergy-specific cards you can’t use. This seems perfectly playable- not an auto-include, but playable. Oh, and if you choose a Minion it psynergizes with Princess Talanji if you’re into that sorta thing. So basically, see half your opponents hand. LIKE!